The nebula itself has a number of NGC designations identifying its various bright areas, they being NGC 2237, 2238, 2239 and 2246. 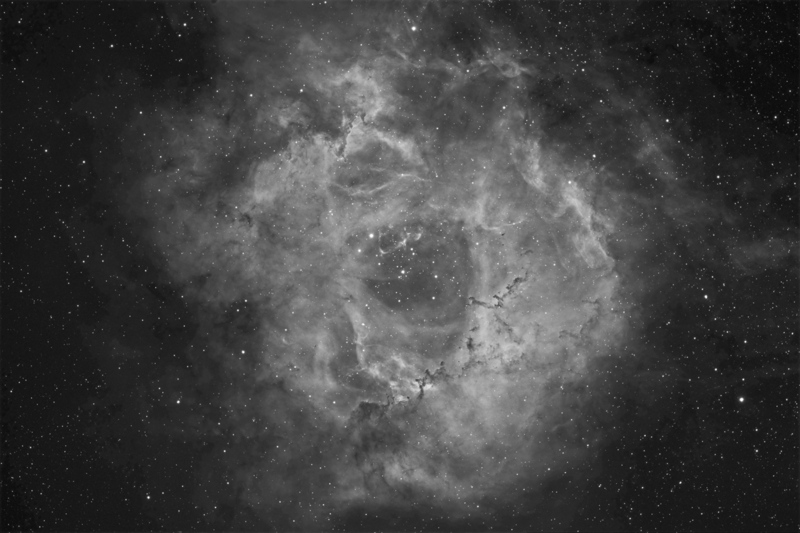 The open cluster in the center of the Rosette Nebula is NGC 2244, it a relatively young 4 million years in age with its stars formed from the surrounding gas. The diameter of the nebula is about 130 light years across. It is situated about 4500 light years from earth and contains up to 11,000 solar masses of material, making it one of the largest such nebulae in the Milky Way galaxy.